Johnnie Walker on Monday unveiled the new White Walker by Johnnie Walker in collaboration with HBO® and "Game of Thrones".This limited-edition offering, to be available in India starting December, is inspired by the most enigmatic and feared characters on the hit show - the White Walkers - and is here for fans to enjoy as anticipation builds towards the final season, said a statement. "Whiskies from Clynelish have endured long, Scottish winters, not dissimilar to the long periods endured by the Night's Watch who have ventured north of the wall - so it was the perfect place to start when creating this unique whisky," said Harper. 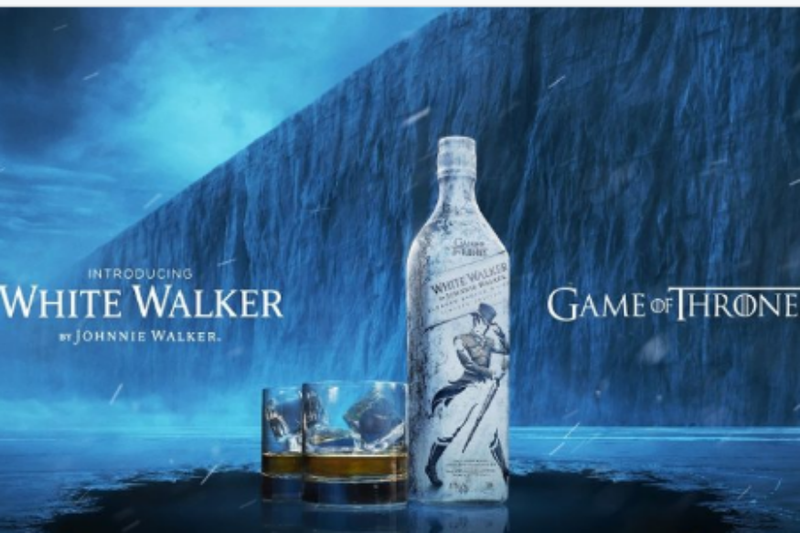 Jeff Peters, Vice President, Licensing and Retail at HBO, said: "We knew there was fan appetite for a 'Game of Thrones' whisky and once we saw the vision from Johnnie Walker for a way to collaborate, we knew the idea was perfect and the time was now. "We're confident fans will enjoy sipping this delicious whisky as they wait for season eight and beyond."